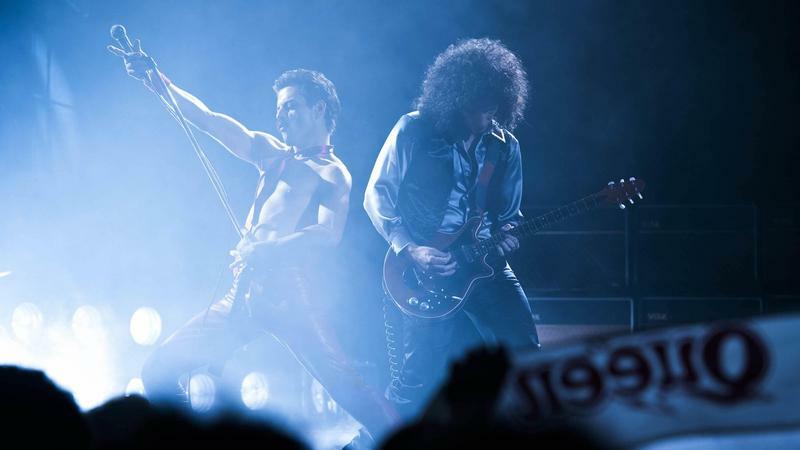 By Jeff Bulmer - Phoenix Alumni · January 22nd, 2019 at 1:19 p.m.
How did “Bohemian Rhapsody” win in a category populated by better films? The Golden Globes are a bit of an anomaly among film award shows. Most obviously, the Golden Globes are one of the only awards shows that honours both film and television. More pertinently, where awards such as the Oscars, Annies, and BAFTA are voted on and presented by industry professionals or respected critics, the Golden Globes are bestowed by 93 members of the Hollywood Foreign Press Association (HFPA). That is to say, journalists. As a result, it would be fair to assume that, more than any other film awards (barring maybe the People’s Choice or Razzies), the Golden Globes reflect the taste of those in charge, rather than any real measure of artistic merit. After an infamously troubled development period that saw the departure of at least two lead actors and an equal number of directors, “Bohemian Rhapsody” a non-controversial movie about the Queen lead singer, who was gay (and it’s important) but he wasn’t that gay; so, you can totally bring your grandparents. There’s very little overtly wrong with Bohemian Rhapsody, but there’s just as little right with it. In three words, “Bohemian Rhapsody” is safe, saccharine, and soulless. Read my full review here. What else was nominated in the same category? First, there’s “Black Panther,” a crowd-pleaser for sure, but a movie nonetheless that took the superhero formula and pushed it in a way few films do, delivering a fun film while also making statements about isolationism and racial politics. Speaking of racially charged movies, “BlacKkKlansman,” the passion project and damning social commentary by Spike Lee was also nominated in the same category. Another nominee, “If Beale Street Could Talk,” from all accounts, is one of the must-see movies of late 2018. The final nominee, “A Star Is Born,” was one of the best directorial debuts by a career actor in recent memory. Moving past a strict quality argument, why even nominate four socially-conscious, critically acclaimed movies with something to say, only to pick the story everyone already knows? The answer, in an ideal world, would be the quality argument. Perhaps the key to the Golden Globes lies in the fact that it’s awarded by journalists. After all, the most notable thing about this year’s winner is that it’s been making headlines for 10 years longer than any of the other nominees.